Empress of the Deep 2: Song of the Blue Whale is rated 4.1 out of 5 by 54. 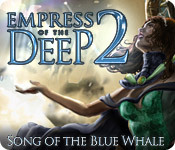 Rated 5 out of 5 by pennmom36 from Empress of the Deep 2: Song of the Blue Whale SE After a century long slumber, imprisoned in a crypt, far beneath the ocean, she discovered The Deepest Secret. Her twin sister Pandora had claimed position as Empress, against the wishes of their parents, Anna is the true heir, the true Empress of the Deep! Anna was tricked into following Pandoras directions instead of Jacobs, nearly destroying the Ark by activating several purple orbs that were actually explosives! Pandora was evil, and very unstable, and managed to detonate the explosives that destroyed the underwater Ark, as well as herself, Anna barely escaped. As Anna makes her way to the Temple in the Sky, she learns that she must save the children of the seasons, along with the Guardian animals that have been imprisoned by Pandora, with the help of an unlikely accomplice! Anna must collect several Crystal Dolphins that flutter about in select scenes. 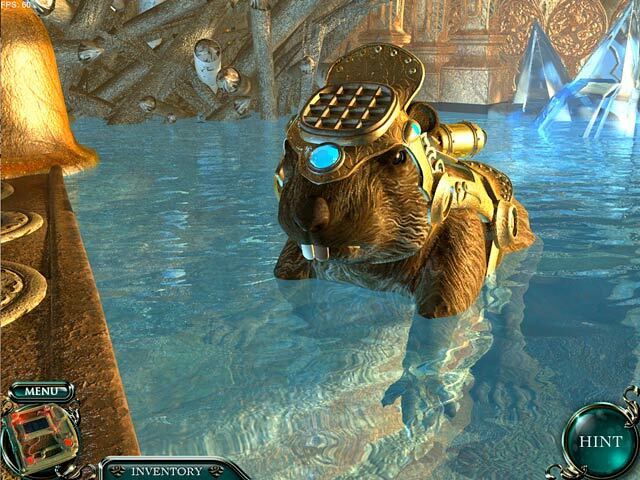 These dolphins will give Anna the Magical Healing power, needed to free the Guardian Animals, that have been imprisoned with mechanical gadgets that control them. Eventually you will free a Beaver, a Sea Turtle, an Otter, a Narwhal, a Seal, a Manatee, and an Orca. 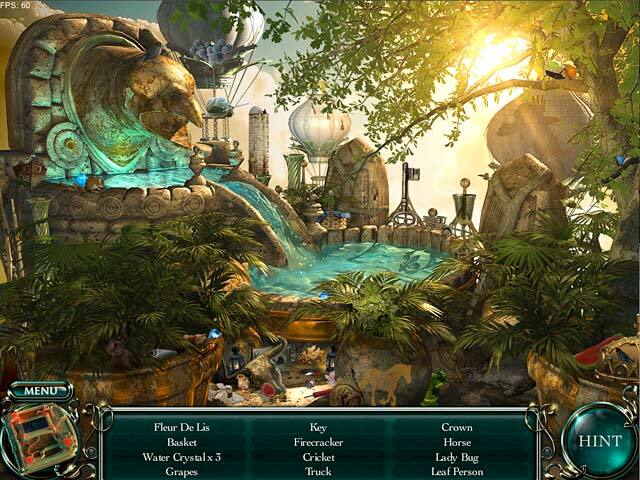 The Hidden Object Scenes are basic Listed items with no interactions available. Some items are extremely difficult to find because items are very well blended into the scenery. The Mini Games are fairly easy, there are a lot of puzzles requiring you to flip tiles over until a picture is complete, the only thing difficult, is figuring out which picture is the correct one. Some puzzles require you to direct beams of light to light up all orbs using mirrors and splitters, or connect all circuits by rotating directional paths on each tile. In my opinion, the only valuable asset in the Collectors Edition is the built in Strategy Guide, really the only other difference is collectible diary pages belonging to Pandora which will open up bonus gameplay of an unusual Match 3 game called Zen, enjoy! Rated 5 out of 5 by AyeKCB from Most relaxing entertainment If you desire an HOG that is filled with eye candy graphics, wonderful music and sound effects, with enough challenge to be interesting while not overly taxing your brain buy it apropos you will have something like a good movie to just relax and enjoy. This is it. Great story that pulls you into the game. I enjoyed playing with my daughter. It has a sound reminiscent of the titanic sinking. You hear it once and you do not forget it. My daughter knows when this game is being played even if she does not see it. Unique! Rated 5 out of 5 by uncommonfirings from What a Fabulous Game - If Only It Were Real I can't say enough good things about this game. It was beautifully done - from the excellent user interface, superb graphics, lovely sound and music to great characters and an ending that I wish could be real. 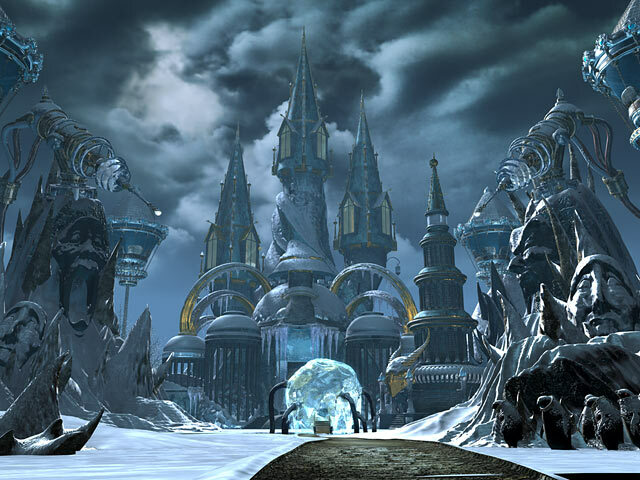 The puzzles were not too demanding, and the HOS were well done with beautiful graphics. The voice of the blue whale was perfect - reminded me of Dumbledore in Harry Potter. I play many games and don't mind those with an element of horror. However, this game was a welcome relief from those and leaves the gamer with an upbeat feeling. Truly enjoyable! Rated 5 out of 5 by arnold1049 from MY NEW FAVORITE This is now my favorite game. It doesn't tax your brain, but is just a relaxing, fun game without all the dark atmosphere of a lot of games. The graphics are excellent, the storyline interesting and logical, and the navigation through the game relatively straightforward. I particularly like the fact that you are told when you are finished with a given area, so there is no question about whether you need to come back for something else. The Hint button worked both in and out of the HOS and was very informative with specific instructions. There is no choice of difficulty level and the mini games were not that challenging. The HOS were fairly easy except for maybe one item here or there. I only had to refer to the walkthrough (which I did not find on the Big Fish Games web site) once. It could have been longer, which is related to the fact that it is a very enjoyable game. Now I will go back and play the first installment of this series. Rated 5 out of 5 by pah45 from Great game!! Really enjoyed this game. Wonderful story line with great graphics and sound. Was sorry when it was finished. WILL DEFINITELY play it again. Well worth the buy. Rated 5 out of 5 by blueskylife from A fun and Challenging Game This game is challenging and fun. Rated 5 out of 5 by Pink2112 from Beautiful game! A little easy but a visually stunning game!